Poet, translator and educationalist. His work places significant emphasis on northern Bohemia and the German influence in the former Sudetenland. He won the Magnesia Litera for poetry in 2012. His work has been published in English and Polish. He was born in Děčín in 1968. As is characteristic of Radek Fridrich, the collection Krooa Krooa contains a large amount of melancholy. Precisely enough to maintain the tough structure, similar to the surface of sandstone, without lapsing into a kind of destructive lyrical or sentimental water erosion. This book records an attractive, poetic interpretation of tradition and external form, as well as the long-inhabited internal orthodox spirit of place. 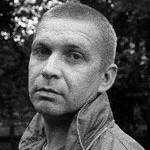 He began writing for the magazines Spirála, Okruh and Weles, his poems are featured in the Pant almanac 1990-1995 and he was a member of the Demi-Monde group. Together with Tomáš Řezníček he organized poetry meetings in Žleby u Děčína and later also organized the Děčín Zarafest. He lectures in Czech and world literature at the College of Education of J. E. Purkyně University in Ústí nad Labem. He made his literary debut with Tomáš Řezníček with the collection Druhá strana (The Other Side, TGIF, 1996). This was followed by his own book, Pra (publ. Protis, 1998). His third collection, V zahradě Bredovských (In the Bredovský Garden, Host, 1999) was criticly acclaimed. “In addition to the vertical tension between ‘heaven’ and ‘earth’, and the consequent feeling of being an outcast, we are also dealing with a horizontal tension, which is specifically linked to the Sudeten landscape. In his poetry, the landscape around his home of Děčín becomes a place he seeks time after time. As though the poet was remembering the Sudeten Germans who lived there, he is trying to look for their traces and build his own personal history,” summarizes the publisher in the blurb. Three years later Erzherz (publ. 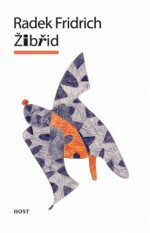 Votobia, 2002) was published, which also pays tribute to the Děčín area, where he has roots. 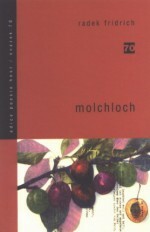 Two years later Fridrich returned to the publishers Host with the collection Molchloch (2006). “In addition to succinct, physical, almost naturalistically expressive texts in the book, we also find diary entries and records of dreams, a variation on the text-incantation of Vasko Popa; other poems contain the rhythm and melody of folk songs, others have the character of miniature legends, whilst others are filled with the ghostly atmosphere of specific north-Bohemian towns,” wrote Radim Kopáč in his review of the book. Here it is already clear that Fridrich’s is a strong and consummate poetic voice. Two years later he wrote Žibřid (Host, 2006). 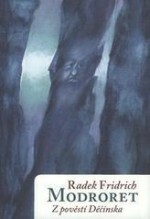 While the title Molchloch is a German composite meaning newt hole, as one area in Děčín is called, Žibřid is the name of the main character, a kind of “Slavonic incantation. Or is it just a distant voice saying the German name Siegfried?” noted academic Jiří Koten. 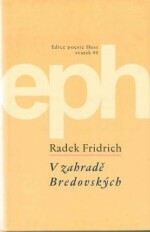 With Žibřid, however, Fridrich moved away from his traditional style. “I was always interested in the minimum of story, the bare bones of a plot. In my last collection, Žibřid, however, I tried various genres and locations as I really need to take a break from the themes of the Sudetenland and death. After both my mum and gran died I just couldn’t keep going to these graves, and I wanted to the book to be more playful and light-hearted,” explained the author. 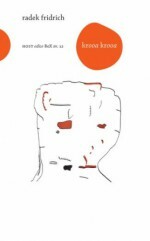 Radek Fridrich has also written a bilingual collection called Řeč mrtvejch (Speech of the Dead) / Die Totenrede (2001) and Nebožky (The Deceased)/Selige (Perplex, 2011), which are inspired by Děčín legends – they were written for the collection Modrodret (Polart, 2008).